It was a beautiful summer Sunday morning, and the worship director for a long established Midwestern church was busy with preparations. After many months, the congregation had finished two major projects. The church’s satellite worship campus was having its inaugural service in a brand new sanctuary that morning. Meanwhile some badly needed technology upgrades for the existing sanctuary had just been completed, too. The lighting, sound, and video capabilities at the original facility had been poor or non-existent. 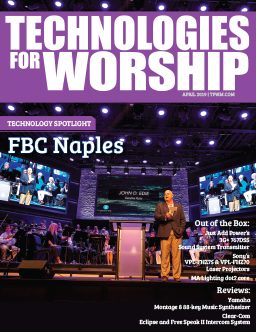 New audio, video, and lighting technology had been installed to enable the 30-year-old building to better minister to the needs of a modern congregation. 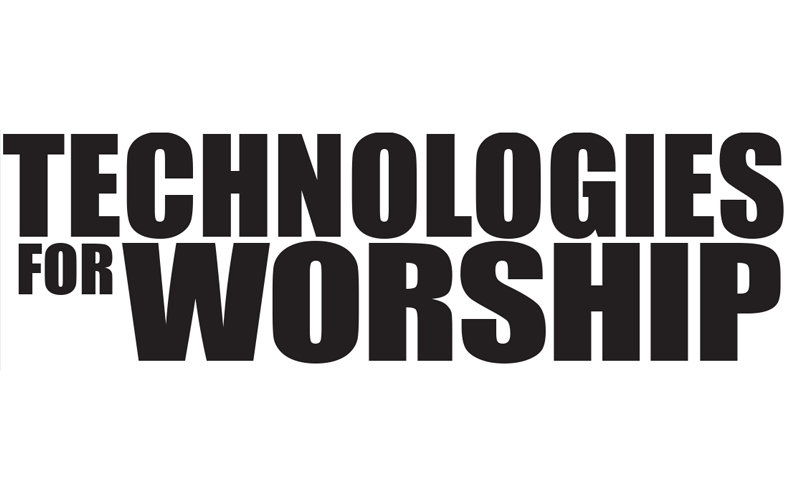 Over at the new campus, the worship environment had been designed to accommodate almost every technological innovation possible. From multiple flat panel displays, integrated audio/video systems, and the latest in digital lighting control to the use of helical antennas to support the praise team’s “in ear” monitors, the new sanctuary had it all. Months of preparation were finally coming together for both worship campuses on the same day. The worship director was understandably excited and enthusiastic. When services started at the original campus, it was immediately apparent that all was not going to go as planned. A new flat panel display was misbehaving. Scattered throughout the image were thousands of tiny sparkles that winked on and off in an irregular manner, sometimes disappearing for minutes at a time only to reappear without warning. At other times, the image on the screen would mysteriously shrink at the edges only to bounce back to normal fractions of a second later. Meanwhile, over at the new campus, several of the guitars were picking up a large amount of hum – but only when the guitarists would stand in certain positions on the stage. Several times during the course of the morning one or more of the digital signal processors stopped working. The audio technician also noticed some audible noise interference underlying the sound. The problems encountered at both worship sites were unanticipated and were accompanied by disappointment and concern. First thing Monday morning, a call was made to the AV contractor. Surprisingly, no problems were found and no explanations offered. Everything at both sites was installed and configured properly. The equipment being used was high quality from proven manufacturers. Everyone was scratching their heads. The coming months brought more trouble. At the original sanctuary, the problems with the flat panel display continued, and just when the praise team had learned to live with the problem, the display simply up and died. Everyone took this as a good sign. Since the display was still under warranty, and since it obviously had problems, the assumption was that the replacement unit would provide trouble free service. To everyone’s dismay, the replacement display acted no better than the original – eventually failing again in just a few months. To add to the problems, the personal computers in the AV booth started to lock up occasionally. The only fix was to re-boot them, which was disruptive when it happened in the middle of the service. Over at the new campus, the digital signal processors continued to misbehave, and the source of the intermittent guitar hum had not been identified or corrected. Audible noise continued to be present in the audio system. One Sunday morning, the brand new audio console just died, and shortly after, a flat panel monitor at the new sanctuary bit the dust, too. Technology was not looking like a good thing. What were the source of these problems, and what could be done to solve them? This church’s experience is a true story. While the church chooses to remain anonymous, it’s easy to identify the source of the problems. In both instances, invisible electrical disturbances were the culprit. The quality of electrical power is a critical factor in the reliable performance of modern audio and video systems. Unfortunately, as humans, the only power disturbance most of us can easily identify is the blackout. That causes us to have a somewhat one-dimensional view of electrical power problems and often makes it hard for us to establish cause and effect when our sensitive electronic systems fail. That’s why it’s helpful to understand how electrical power disturbances affect digital AV systems. Only then can we appreciate the source of the church’s problems and the actions that were taken to solve them. Power problems affect digital electronic systems in four ways. They are called the 4 Ds of power quality – destruction, degradation, disruption, and dynamics. Because integrated circuits are designed to operate at tiny voltage levels, they are naturally fragile when it comes to their tolerance for high energy voltage impulses. Destruction occurs when a large energy voltage transient overwhelms the electronic circuit. Charred components and immediate system failure are the observable result. Lightning or summer storms are easily identifiable culprits, but these high energy transients are associated with other sources, too. Many voltage transients contain lesser amounts of energy and are incapable of causing outright damage. Degradation occurs when these lesser energy transients cause gradual damage to an electronic component at the microscopic level. This phenomenon is often called electronic rust. The damage from degrading power disturbances accumulates until system failure eventually occurs. The exact nature of the failure is usually invisible, and power problems don’t normally make the list of the usual suspects. Digital electronics does its magic by measuring and processing millions of brief, tiny voltage signals in nearly instantaneous time frames. To a computer circuit, many electrical noise disturbances look much like legitimate digital signals. Disruption occurs when electrical noise causes the microprocessor to malfunction. The malfunction may take the form of a computer lockup, lost programming or altered presets. The most frequent symptom of disruptive power problems is the “no trouble found” service call. When the AV contractor can’t locate or explain a system failure, and when there’s no quantifiable hardware failure, chances are pretty good that a disruptive power problem is to blame. Finally, power problems affect system dynamics. At the right frequencies and amplitudes, electrical noise can be seen in video displays and can easily be heard underlying music, vocals, and spoken word during an audio presentation. Understanding how power problems affect AV systems is important. But it’s equally important to understand the source of the problems before solutions can be identified. Power outages and lightning storms are visible and easily identifiable problem sources, but where do these other invisible power problems come from? There are three primary sources. The first is the electrical infrastructure itself. Electrical wiring must be correct, and branch circuit capacities must be satisfactory for the needs of the AV system. In the case of the church failures, both worship sites had wiring issues that contributed to system problems. At the old campus, the flat panel display had been plugged into the same electrical outlet as the audio amplifiers. The electrician had simply been told to provide two 20 amp receptacles in the new control booth, which had been constructed by taking over a section of the balcony. What no one realized is that the electrician tied the two receptacles into an existing circuit in an adjacent storage room. Unfortunately, that same circuit powered a fan in one of the air handlers. Every time the fan came on, noise from the motor winding caused the display to sparkle from the electrical noise. Someone finally noticed that the shrinking image only happened during sudden dynamic changes in the music volume. The overloaded electrical circuit couldn’t keep up with the power demands of the audio amplifiers, and the resulting voltage sags caused the display image to shrink and rebound in step with the changing music volume. These problems were resolved by adding electrical capacity (more circuits) to the control booth but not before continuous exposure to the electrical conditions had caused the failure of two flat panel displays. Over at the new campus, the electrical contractors had wired the facility according to the architect’s specifications. Circuits were plentiful and properly sized. The electricians had been careful to wire the church in full compliance with electrical code. But electrical code only required conduit for the safety ground connection. This church, like many, was built on a concrete slab, and most of the conduits ran through the slab before going up inside walls and ceilings. Even before the church was occupied, natural settling of the building and slab had caused one of the conduit connections to loosen. That conduit fed power to an electronic dimmer and a bank of lights near the stage. Lacking a good safety ground, the dimmer was radiating electrical interference, which was jumping in to the guitar pickups and creating the audible hum. The solution, while simple, was time consuming and disruptive. An electrician pulled a dedicated safety ground conductor into the conduit to restore the ground that was lost when the conduit connection loosened. Every time you drive, your car creates air pollution. In similar fashion, every time you use electricity, you create a certain amount of electrical pollution. It’s unfortunate but true that electrical and electronic devices like lighting ballasts, dimmers, copy machines, motors, computer power supplies, and even AV systems themselves create the very disturbances that cause digital systems to fail. Thirty years ago, computer manufacturers housed their systems in protected, air conditioned, humidity controlled, power conditioned “glass houses” because they new that they needed protection from the bad neighbors in the surrounding electrical neighborhood. Today, however, we take highly sensitive and sophisticated electronic systems and just plug them into the wall wherever there is a convenient outlet. The amazing thing is how surprised we act when they misbehave or fail. Some recent studies indicate that 90% or more of power quality problems are caused by the very electrical devices that we rely upon to make our lives more productive, convenient, efficient, informative, and entertaining. Look – Up in the Air! No it’s not Superman. It’s something else that you can’t see. It’s electrical interference that comes from every television, radio, microwave, and cell phone transmitter on the planet. The broadcast spectrum is a busy place and getting busier all the time. All these signals find their way into electrical wiring because wiring acts like an antenna. These signals weren’t a problem for analog technology, but they have the ability to be disruptive for digital systems. 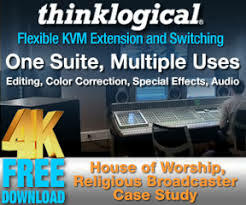 Electrical noise from dimmers, motors, and fluorescent lights along with unwanted interference from radio and cell phone transmitters were responsible for almost all of the church’s disruptive power disturbances. Once identified, they were easily eliminated by installing a power conditioner that contained a surge diverter, an isolation transformer, and a noise filter – the same power protection elements that computer manufacturers once specified for the “glass house” environment and which are now available in smaller, more convenient rack mount versions. Ben Franklin said it best, “An ounce of prevention is worth a pound of cure.” When reliable operation of digital AV systems must be guaranteed, a proactive approach to power quality is the only solution. Whether preparing a new facility or retro-fitting an old one, there are several things to keep in mind. First, make sure that the electrical infrastructure is correct. That means not cutting corners on wiring and grounding. Make sure to provide plenty of electrical circuits and plenty of electrical capacity. Nothing is worse than an overloaded circuit. Not only will it limit performance, but it’s not safe either. Don’t cut corners by relying on conduits for safety ground. Conduits connections deteriorate over time, making them a poor first line of defense against noise or ground loops. Every circuit should have its own dedicated ground wire. Code may not require it, but good installation planning should. When retrofitting an older facility, don’t allow your electrician to “piggy back” onto an existing circuit just because it’s convenient. Treat the retrofit like you would a new installation. Make sure your new systems get their own electrical supply and that it’s properly sized. Yes, this is expensive. It’s strange somehow that we often can’t find the money to do the job right but somehow we always find the money to do the job over. In most cases, it’s far more economical to do the job right the first time. The right amount of planning and research ahead of time will save considerable time, energy and expense for a better finished product.